← Queen – Some Day One Day. 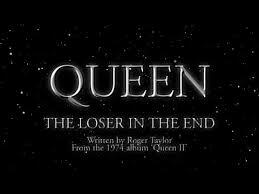 Queen – The Loser In The End. Publicat pe 27 mai 2015	de Cristi M.
Although other bands, including the Beatles, had made short promotional films or videos of songs prior to this, generally, those were specifically made to be aired on specific television shows. The second single from the album, „You’re My Best Friend”, the second song composed by John Deacon, and his first single, peaked at number sixteen in the United States and went on to become a worldwide Top Ten hit. The band’s A Night at the Opera Tour began in November 1975, and covered Europe, the United States, Japan, and Australia.